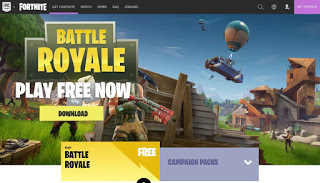 On October 11, Epic Games, Inc. and Epic Games International (“Epic”) sued individuals Brandon Broom and Charles Vraspir in two separate suits (5:17-CV-0511 and 5:17-CV-0512) for copyright infringement, circumvention of the Digital Millennium Copyright Act (“DMCA”), breach of contract, and intentional interference with contractual relations. The suits, filed in the Eastern District of North Carolina, relate to Epic’s game Fortnite. Fortnite’s popularity in recent weeks has exploded since a recent free mode released which, some allege, provides a game mode duplicative of the massively popular PlayerUnknown’s Battlegrounds. Some speculated that Bluehole, PlayerUnknown’s Battlegrounds’ developer, might explore a suit against Epic (indeed, Bluehole issued a public press release complaining about the similarities); however, Bluehole’s extensive reliance on Epic’s Unreal Engine 4 and ongoing licensing relationship with Epic makes such a suit seemingly unlikely.